If I could pick one word to describe church communications directors it would be “overwhelmed.” The advice we have been finding resonates most often is simple: Give yourself permission to focus on the most important things. Schedule time to think. Do what only you can do, and build a team who can handle everything else. Most of the time, this advice isn’t new or novel. It’s simple stuff that all of us who love communications know. But in church leadership, it becomes difficult to abide by. You’re only one part of the system, after all, and your communications processes don’t always leak into other departments. 1. Tackle the negative keystone habits. Charles Duhigg’s book The Power of Habit describes the fascinating and far-reaching effective of “keystone habits,” or habits that set into motion a series of other behaviors. There are likely some keystone habits you could identify in your organization that are currently working against you. What are they? What are the things you could change that will create a domino effect towards better communication in your church? 2. Give yourself permission to think. I mentioned it in my pre-amble, but this is seriously the one thing I’m hearing communications directors complain about more than anything else. They feel like so much is being thrown at them that they are always juggling the urgent. And when you’re feeling it, your whole team is feeling it. We all know better, but in practice, this is difficult. Maybe block off a day each week on the calendar and refuse to schedule meetings or work on your task list during that time. Pick an email-free day of the week. Figure out what works for you and commit to sticking with it. Don’t budge on it or you’ll lose credibility and the urgent will come calling. 3. Be proactive about working with the other departments in your church. 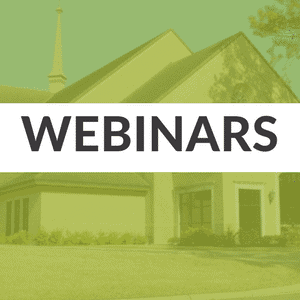 Schedule annual or semi-annual planning meetings with various ministry leaders to show them you want to collaborate and help their ministry win. Demonstrate how the communications strategy supports the vision, and how it connects to what they do. Consider getting everyone on one calendar part of your role. Set deadlines for when things need to be done and use your fantastic communication skills to make sure everyone who needs to know is informed. 4. Grow your volunteer communications team. There are talented people in your church who would love to serve. How often are you inviting them to? What’s your method? You may have to give up some control, but even as communications director, your job is ultimately to equip people to do ministry. Great church communications celebrate what God is doing in the lives of His people and the life of His Church. Pastors often hear more stories of life change than anyone else. Collaborate more with your communications director when there are stories that need to be told. Don’t allow this to fall behind promotions and events. Stories matter most. Your communications director wants to help the church’s vision succeed. The methods he or she will choose depend largely on who you are trying to reach. Make sure that’s clear, and revisit it often. Pastors are notorious for throwing last minute changes at their communications directors. Understand that sometimes a ‘no’ is a ‘no’ because it’s physically not possible, and sometimes ‘no’ is a ‘no’ because your communications director is trying to protect the quality of the brand, or the health of the team, or any other number of things. You sabotage your team’s effectiveness when you’re always pushing the deadlines. 4. Be a communications champion to the staff. Support the systems your communications director has put in place, and champion the processes with other members of the team. Collaborate on communications related to staff culture and health to make sure you’re on the same page. Working together, the senior pastor and the communications director have a tremendous ability to set the tone for staff culture. Communications is consistently one of the top five “core issues” identified by churches we serve. These resolutions are a good step in the direction of solving the communications problem.